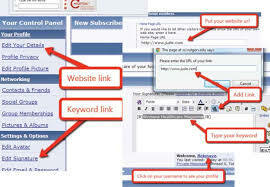 I will do white hat SEO- off page optimization- 100 worldwide keyword based and specific category and sub category based 100 Forum profile creation with signature,forum profile signature back link, forum post, blog comment, classified posting back link which will increase the search engine visibility of your website and also which will increase the traffic on your website for life time. Keyword based search engine. White hat SEO-off page optimization is ranked 5 out of 5. Based on 1 user reviews.